Compact multipurpose steam sterilizer UNISTERI HP IL with the chamber volume size 73, 160 and 254 litres is suitable for the sterilization of all instruments, materials, textile, rubber and plastics that are meant to be sterilized by steam when it comes to health services. It is also suitable for media cultivation and sterilization of solutions in laboratories and industry. 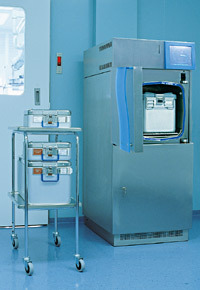 UNISTERI HP IL sterilizer is suitable for use especially where speed, reliability and the highest level of sterilization safety are required, such as in surgical wards of hospitals and daily clinics, smaller central sterilization departments, emergency service centers, dentistry clinics, microbiological worksites, and laboratories.